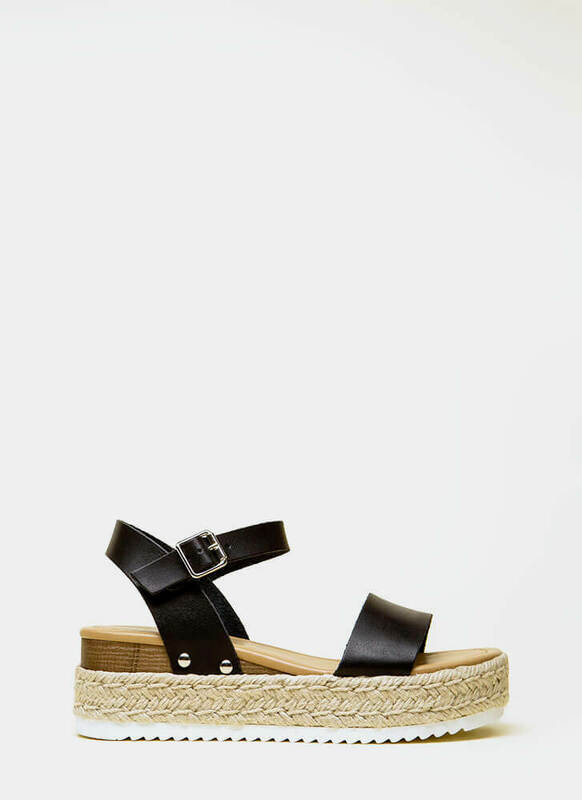 Got a day date in the works? 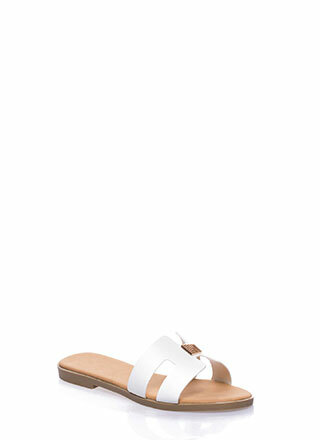 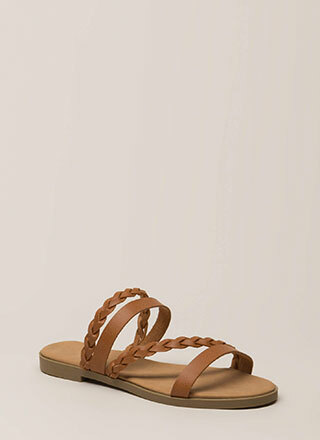 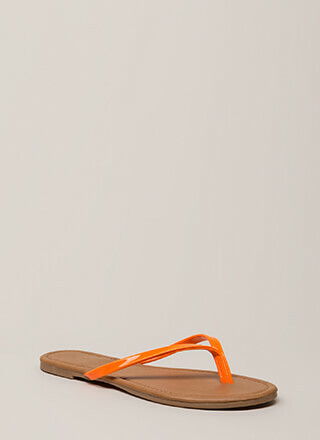 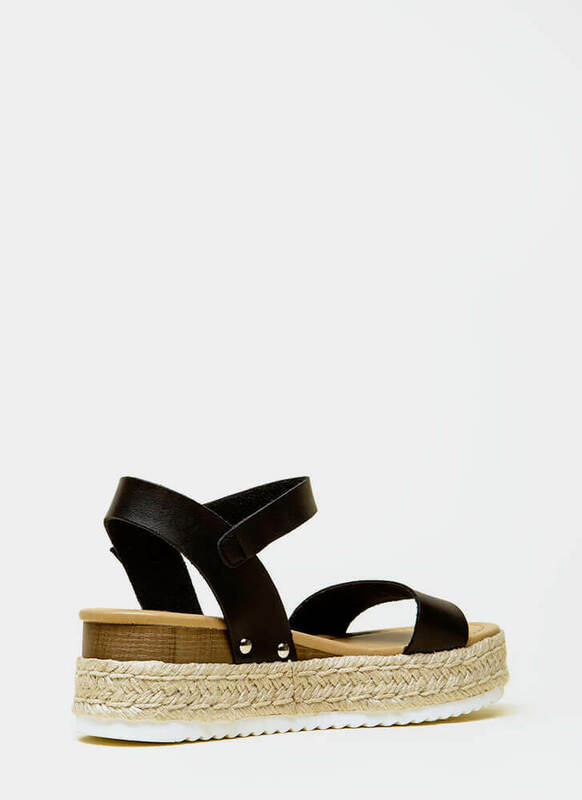 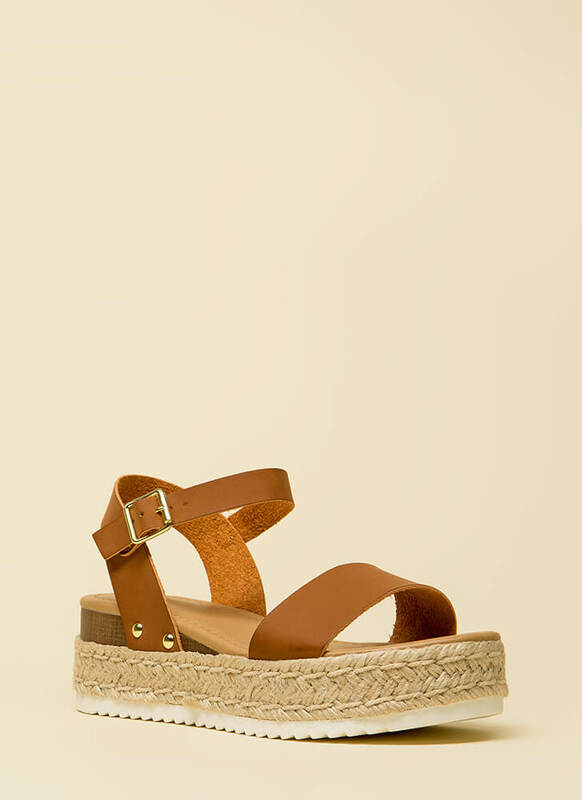 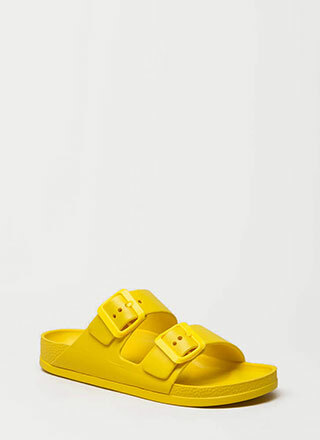 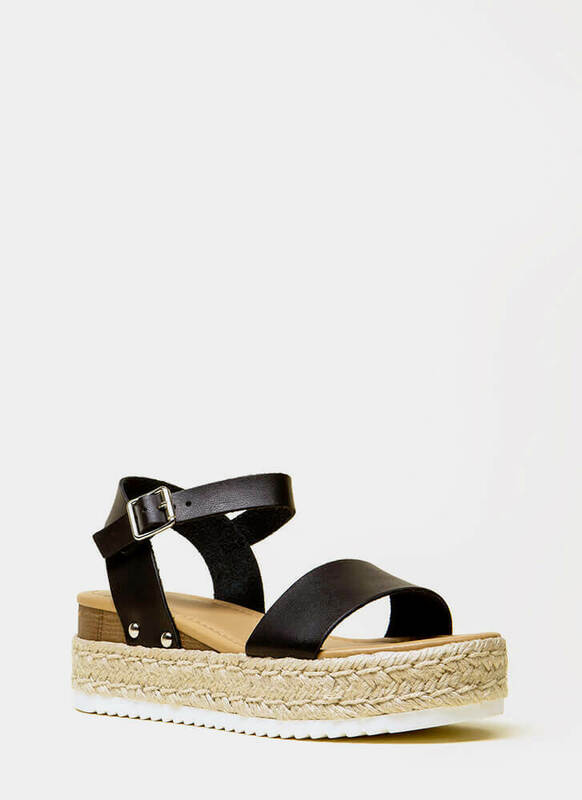 These comfy but cute sandals would be the perfect chaperone... Open-toe vegan leather sandals feature a wide toe panel, an ankle strap with an adjustable buckle, and a thick platform with braided jute trim and a heavily ridged contrast sole. 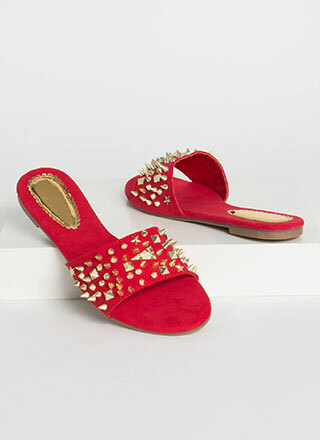 Shoes are finished with studded detailing and an exposed heel.